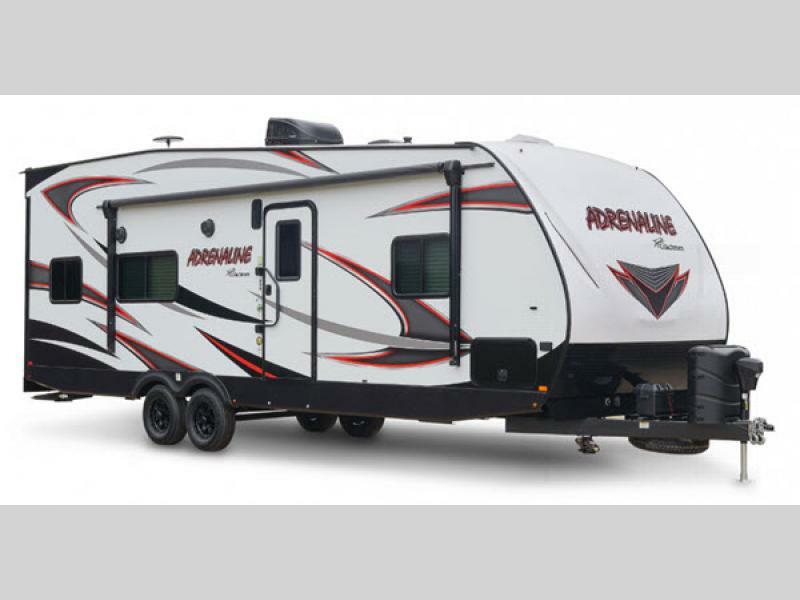 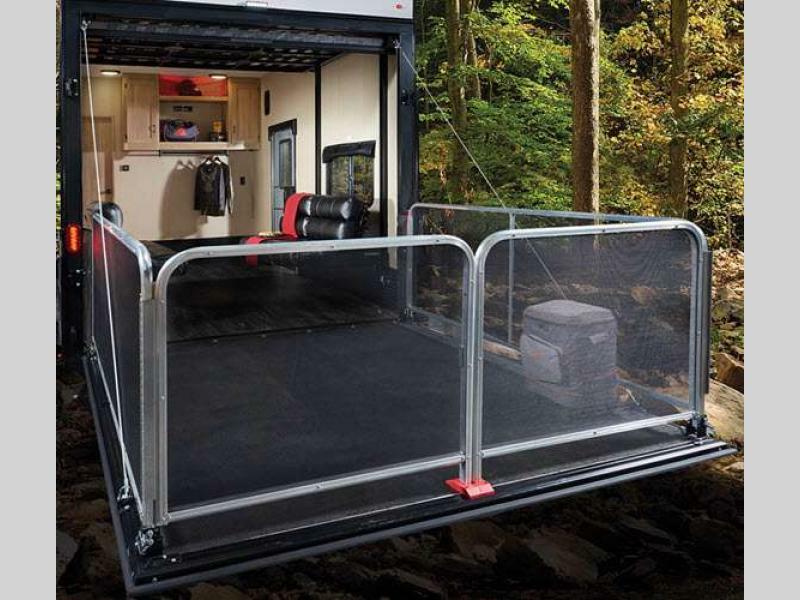 Designed for today's outdoor enthusiasts, Coachmen proudly brings you the Adrenaline toy hauler travel trailers. 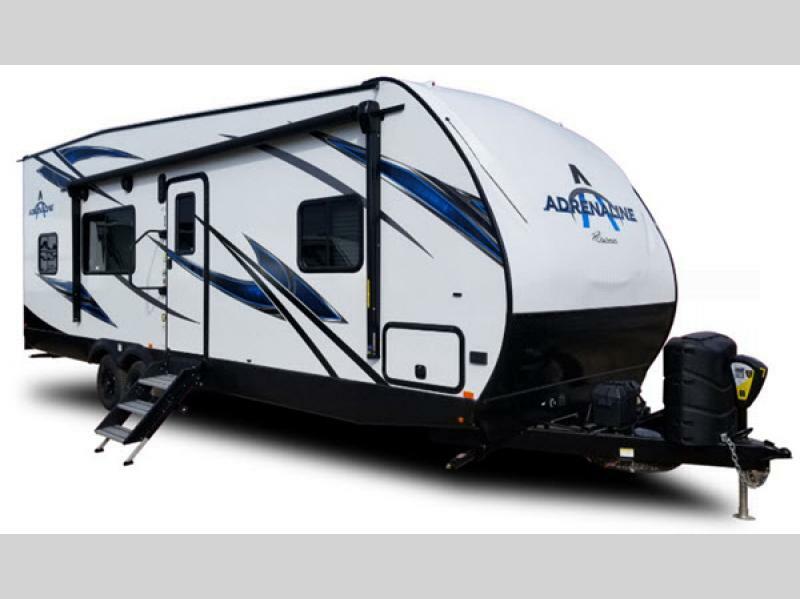 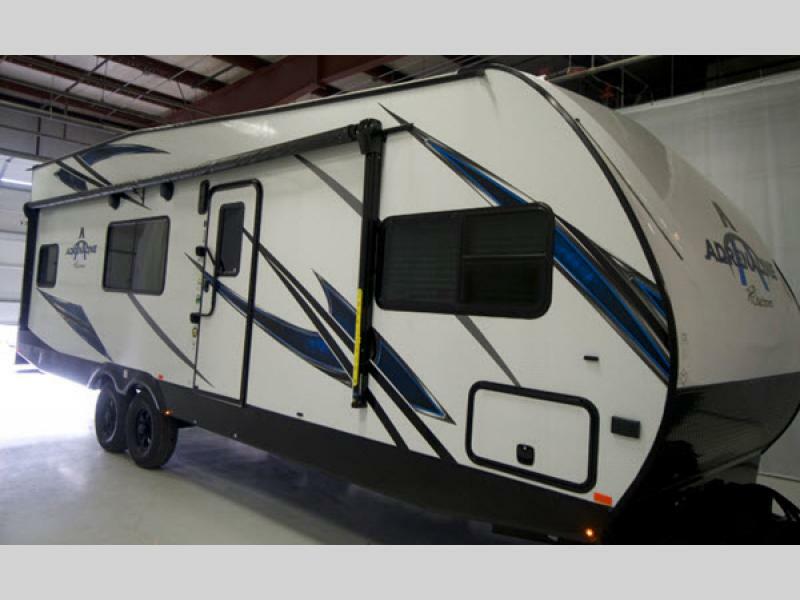 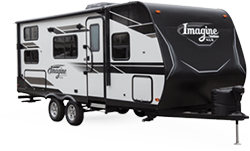 These units have an 8'6" wide-body construction, Dexter Axle EZ Lube, Flex suspension and Nev-R-Adjust brakes, and include a 7'6" patio ready ramp door, plus these toy haulers are light in weight making them 1/2 ton towables. 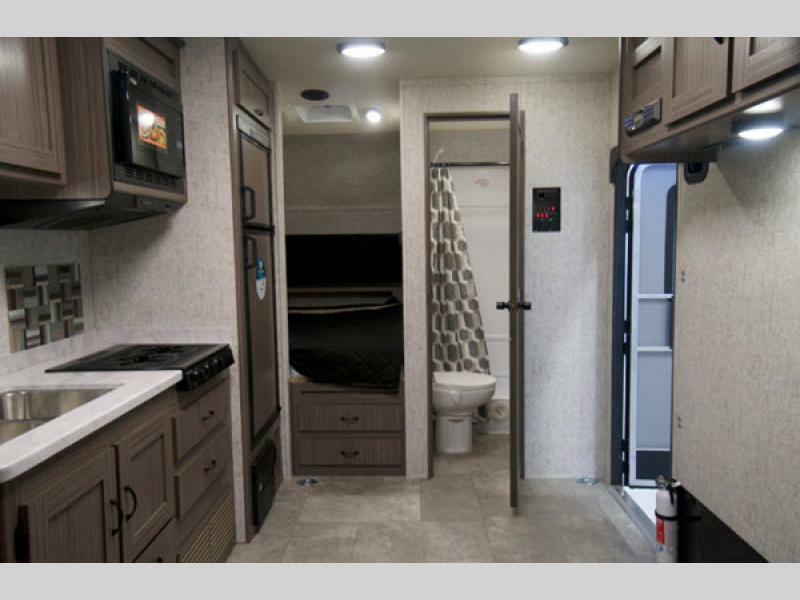 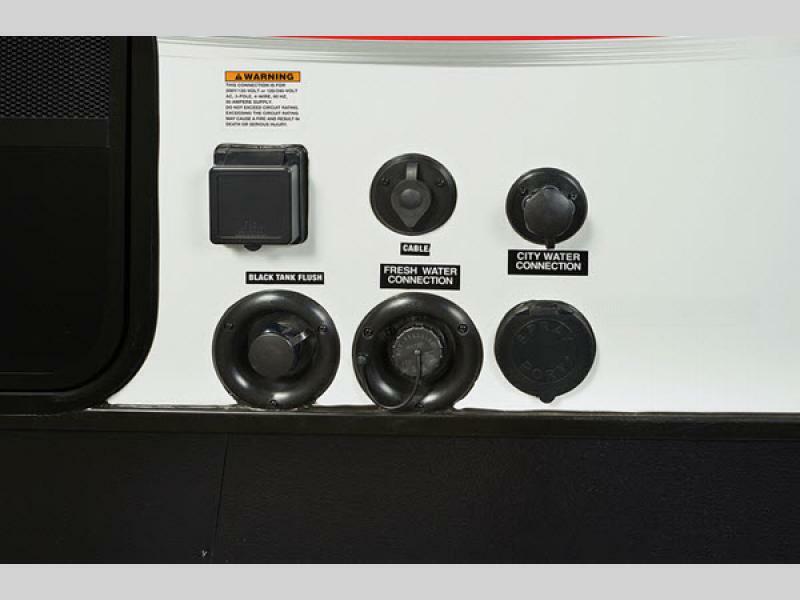 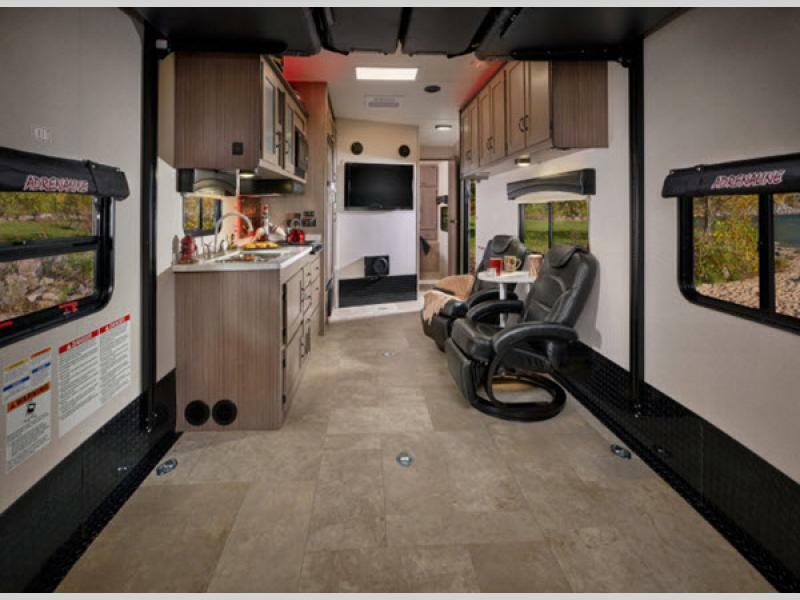 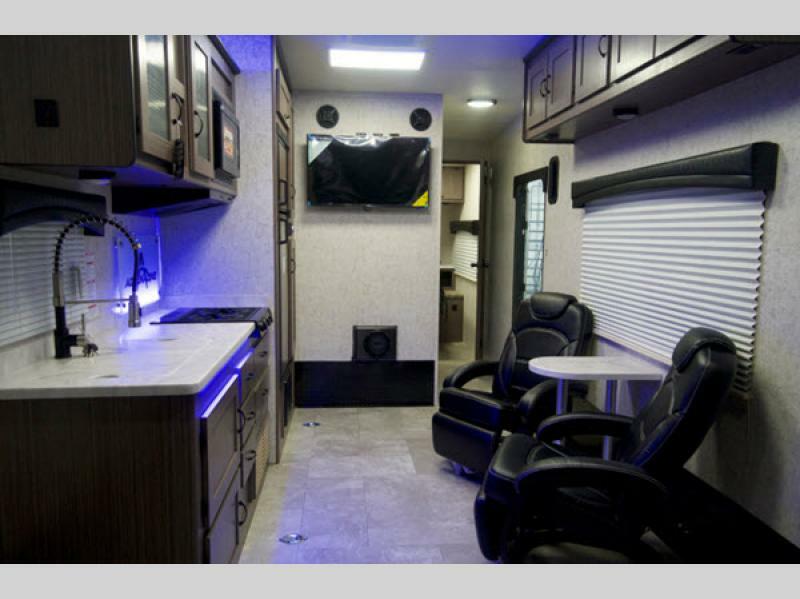 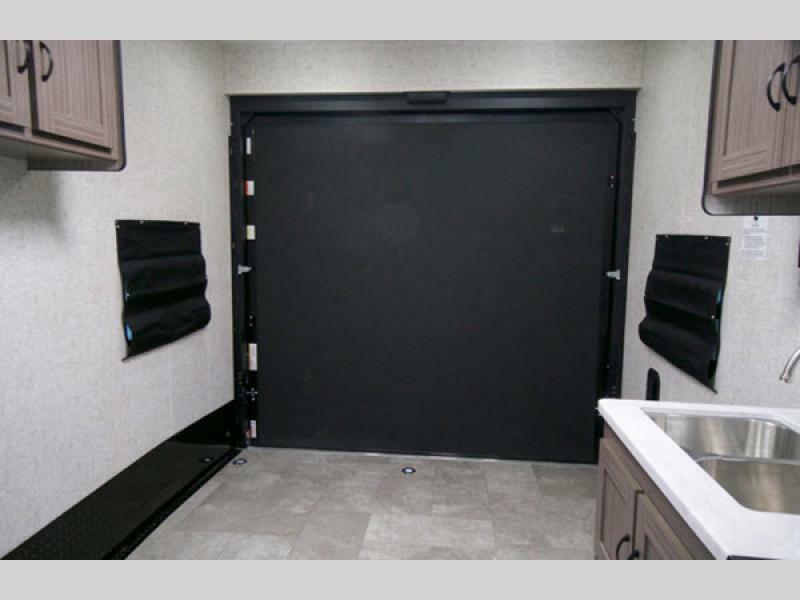 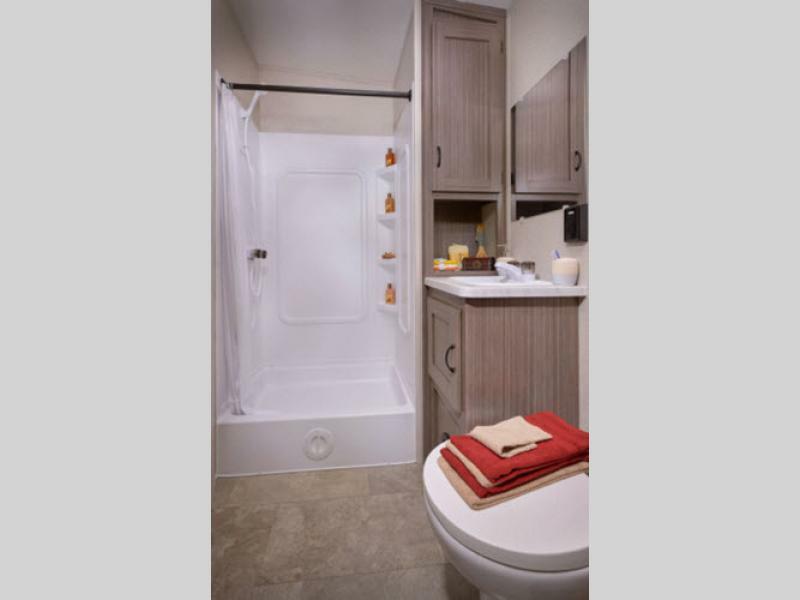 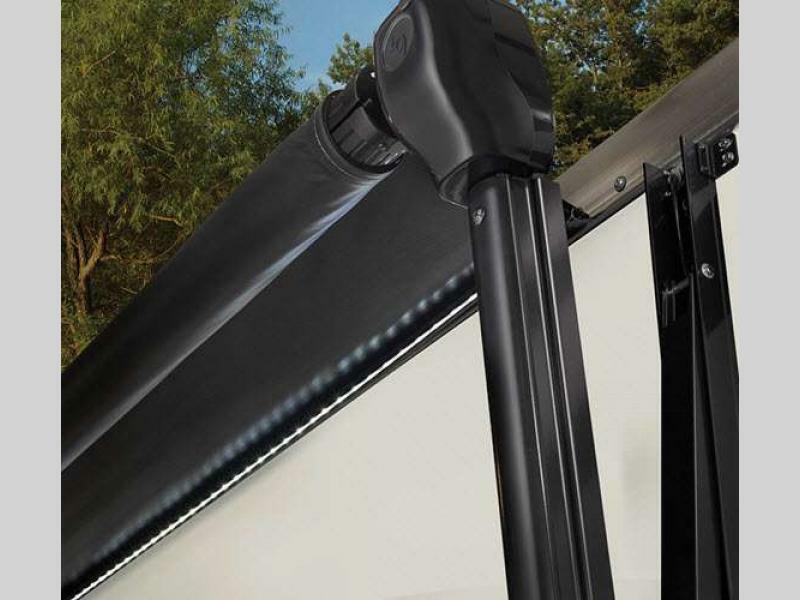 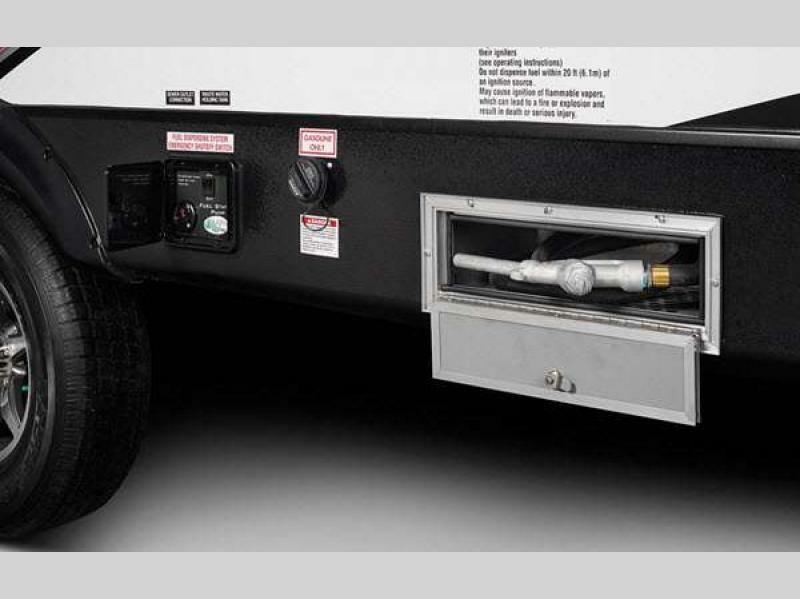 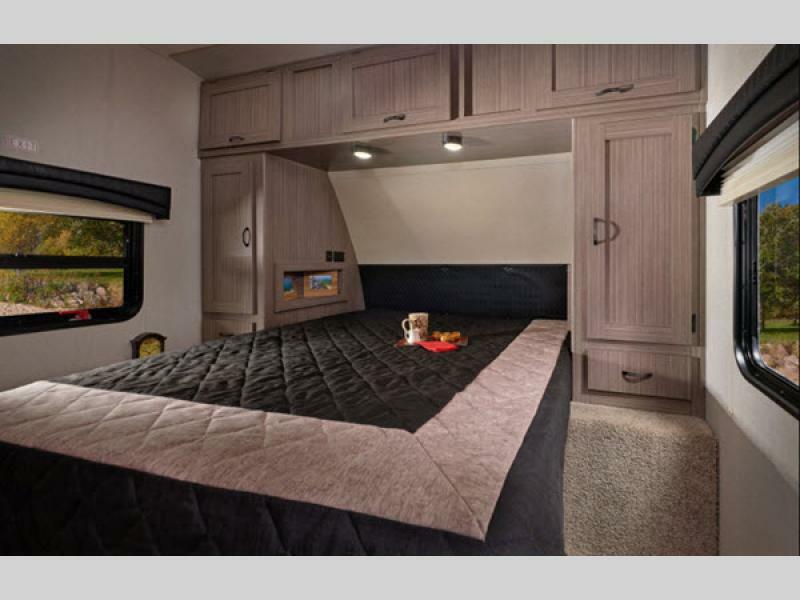 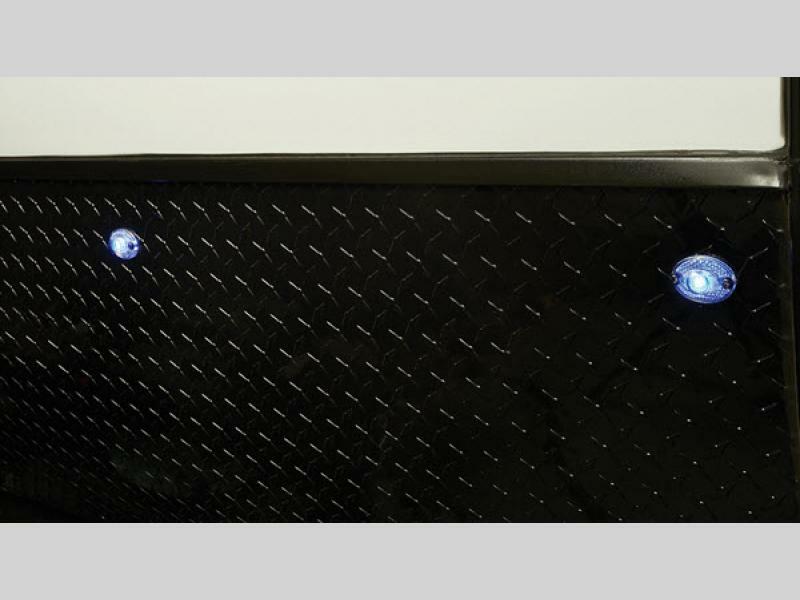 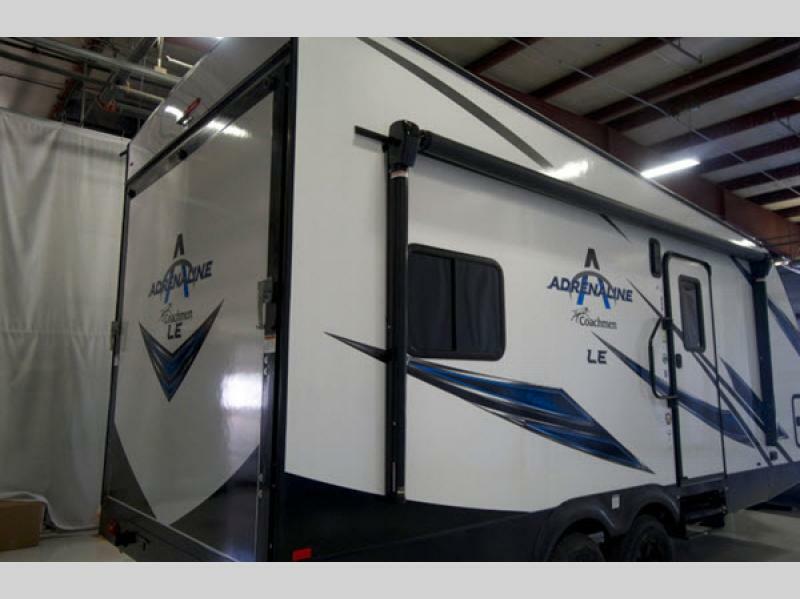 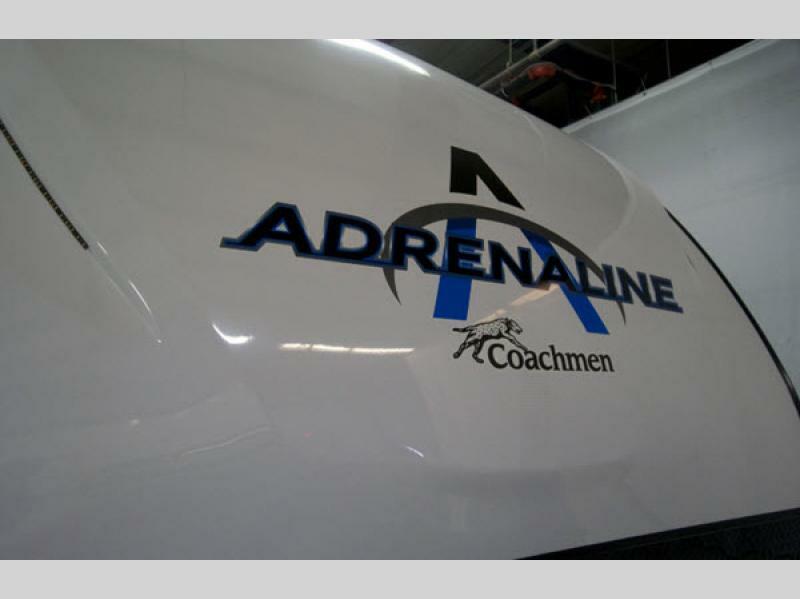 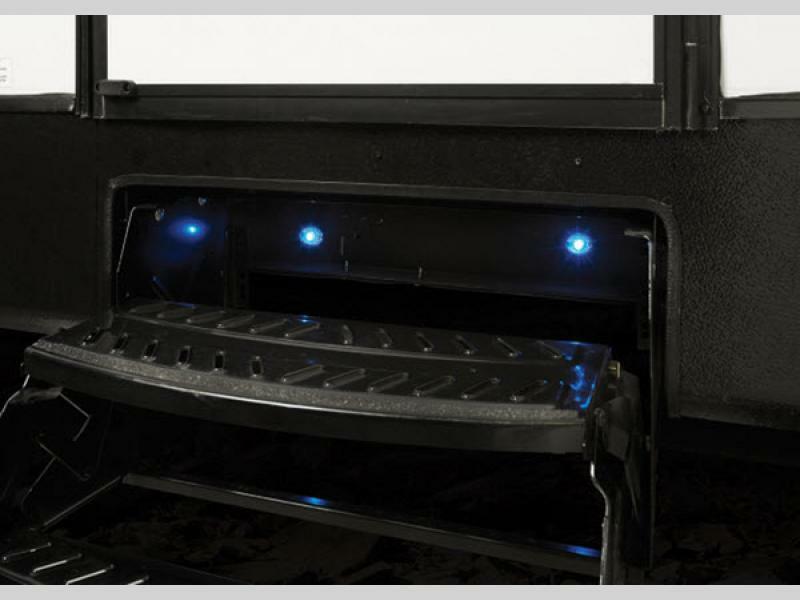 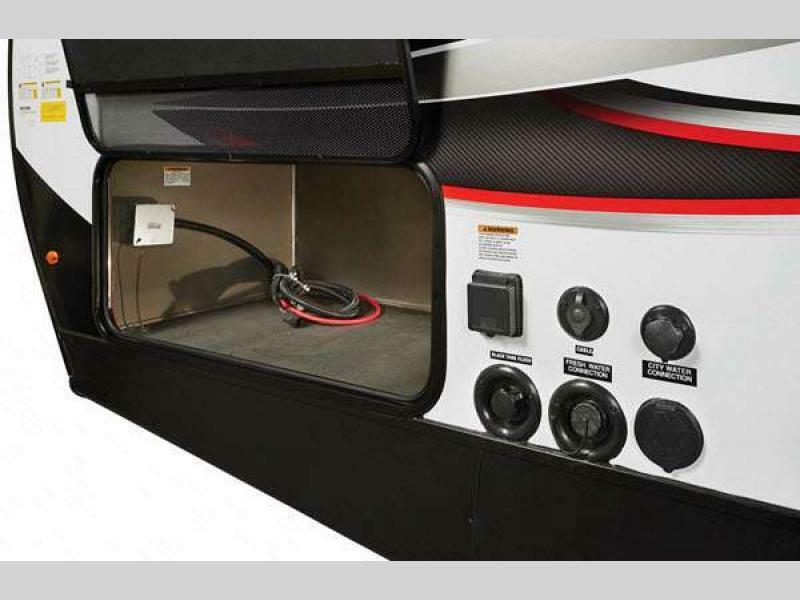 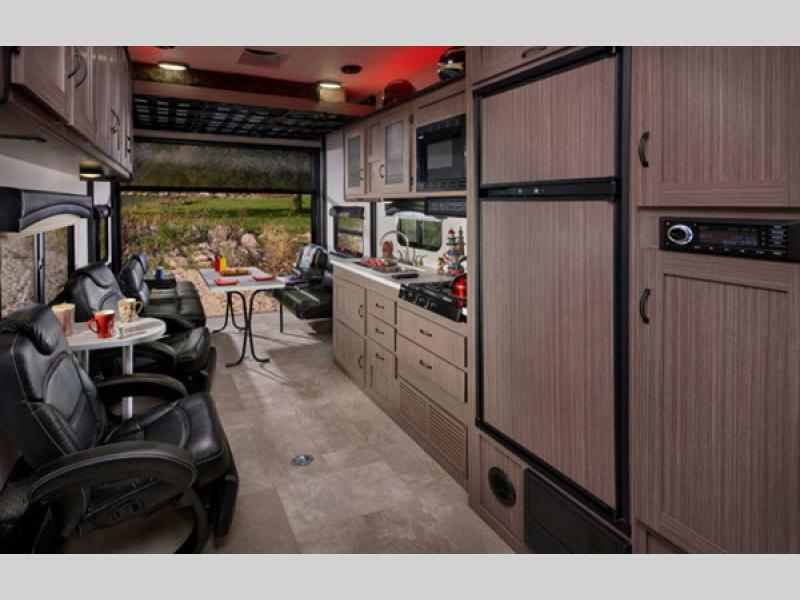 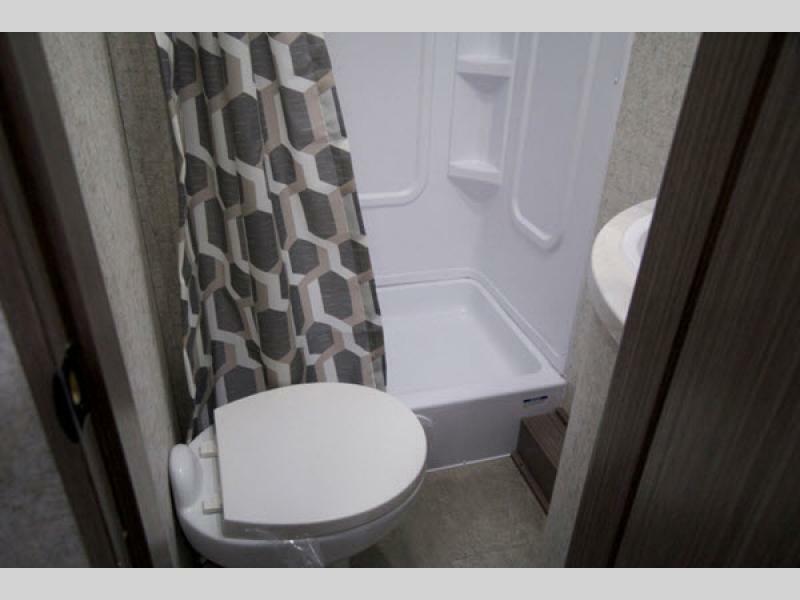 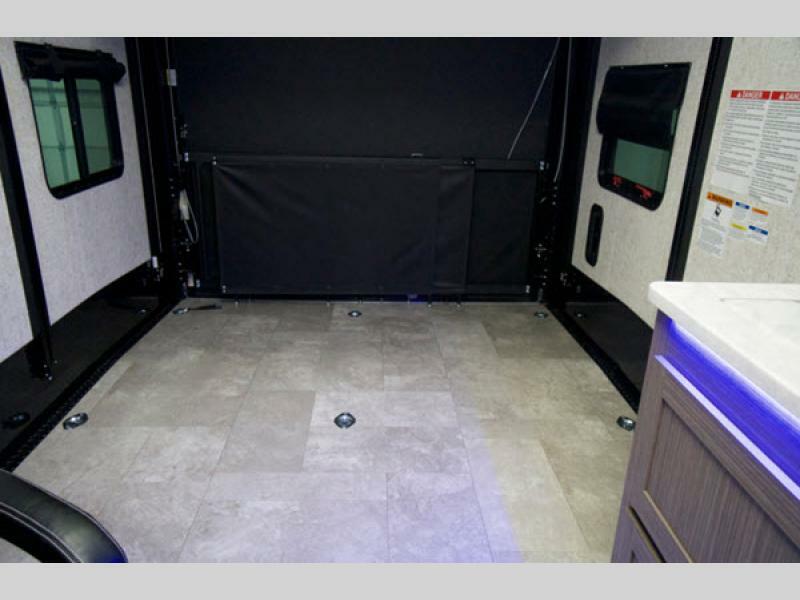 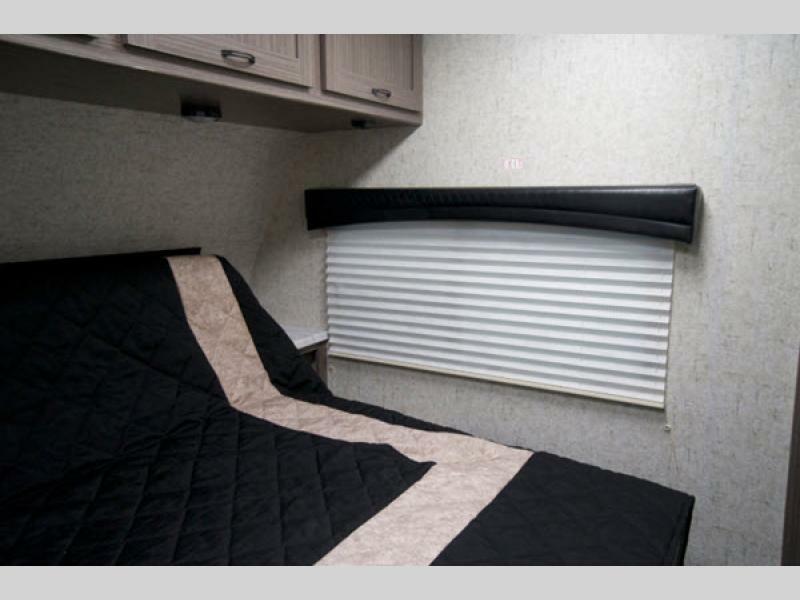 Coachmen also offers LE models that are less expensive and significantly lighter than the standard Adrenaline units; however, they are still made with the same construction. 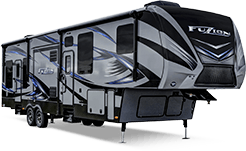 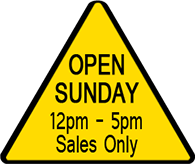 So, if you are ready to get your Adrenaline pumping, why not choose the model that suites your toy parking needs the best, and head for the playground of your choice. 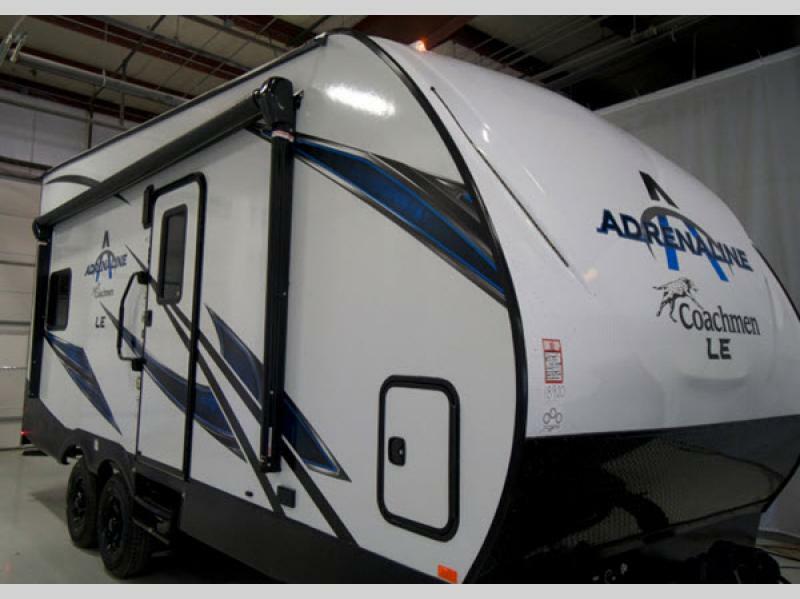 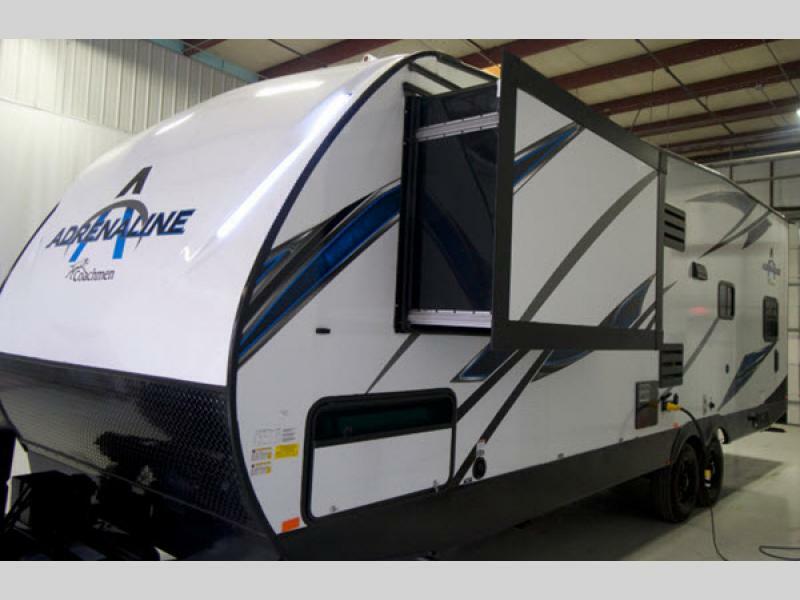 With any new Coachmen Adrenaline toy hauler travel trailer we are sure you will soon be a heart pounding Adrenaline junkie!